Regardless of your product or the intention of your business, all companies promote. 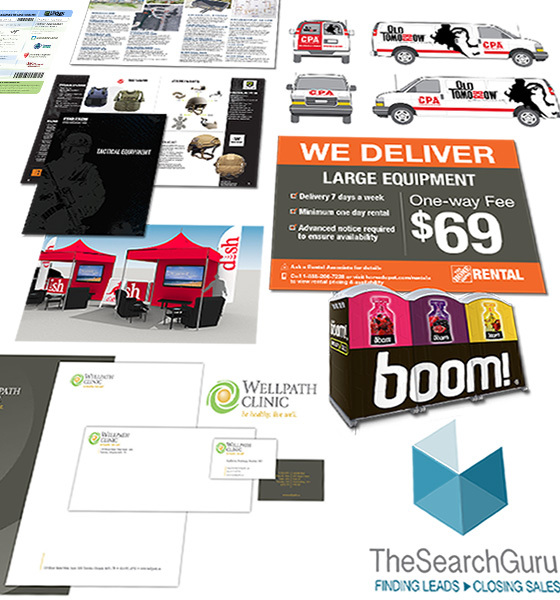 And whether you are B to B, a national chain store or an international consumer product; all promotional pieces, advertising, trade show booths and print ads need one thing to be truly effective – great design. Advertising agencies have in house graphic artists to evolve and perfect a campaign. Huge multi-nationals often use several different agencies and have an in-house designers as well. That is where we come in – at SmartLink, we can take your idea and turn it into what you need it to be. No ideas? That’s ok! We can start from scratch and make suggestions that can evolve into anything from an effective POP piece to a full strategy to promote and sell your product. And as a full service provider, we can take that design, handle the production, fulfillment, fabrication, installation and all other aspects of your project. Our veteran team of sales and production people have worked on with all types of clients for all sorts of promotional purposes and can advise you both strategically and practically. So whether you’re a small business owner looking for help with a new logo and advertising or the director of a large corporation needing fast and reliable turnaround on special projects, SmartLink can deliver. We offer design services experience in corporate identity, packaging, print collateral, advertising, large format, tradeshow, display and more.